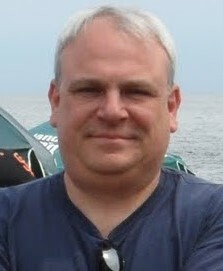 Meet Jim Bilger, owner of ClubmanOnline and DovoOnline. He’s the Featured Business Owner at SCORE Chicago this week. Learn how he started and what tips he has for your success. ClubmanOnline is the premier online source for the full range of fine men’s toiletries from Pinaud-Clubman as well as other select shaving, personal care and grooming products. DovoOnline specializes in the fine German hair, household and sewing scissors, as well as manicure sets in leather cases. We also offer the best knife and scissor sharpening services in the Chicago area. The business was founded in 1905 by Dominic Corrado. My brother worked for the last of the Corrado family to own the business and we took over in 1985. My brother relocated in 1999 and I have kept the business going to this day. In the beginning I was attracted by the history of the company and the high quality and useful nature and the products sold and I still am today. We are a specialty tool business selling products used in our everyday lives that are built to work well and to last long. I started Clubman Online in 2005 to meet the rising online demand for quality men’s shaving and grooming products. Clubman carries a wide range of Clubman products, including Clubman beard grooming products like Clubman Talc and Clubman Moustache Wax . Both DovoOnline and Clubman Online serve passionate customers who are enthusiasts in the areas of kitchen and cooking, sporting and field activities, and men’s shaving and grooming. We also specialize in hard to find and high quality scissors, shears and manicure sets. All of our customers are looking for and appreciate quality design and craftsmanship as well as in depth product knowledge and service – whether they are buying for themselves or for gifts (we specialize in wedding, groomsman and corporate gifts). These are the “old school” attributes that Clubman Online bring to the table. In today’s ever evolving retail marketplace, I think marketing is the biggest challenge. We sell high quality goods from the best manufacturers at competitive prices backed by great service. The trick is getting the word out. Fortunately, our history gives us marketing cache and credibility that new start ups have yet to earn so we strive to continue earning that every day. The late Larry Laken was my SCORE mentor for years. Larry had highly relevant experience as a cosmetic firm owner and extensive retail experience in many areas. His advice, tips and support helped me immensely over the years. Today I have a team of mentors helping me. Arnie Goldberg & Joel Shabsin provide me with solid business and financial assistance. Peg Corwin is working with me to prioritize my marketing opportunities and improve online marketing for what is now primarily an ecommerce business. I am reminded of the old joke: “How do you get an elephant out of the theater?” (Answer: you can’t… it’s in its blood!). Most of us entrepreneurs keep at it because we have to… it’s in our blood. It’s important to managed the basics: selling goods or services in demand, know your market and your pricing, keep detailed and accurate bookkeeping records, ask for help where you need it (i.e. SCORE). Don’t be afraid to try new ideas while at the same time being honest with yourself if something isn’t working and be ready to reinvent yourself in that case.